The installation and design of energy efficient residential air conditioning will be assisted by the publication of a new standard, according to a press release from Standards Australia disseminated yesterday. AS/NZS 5141:2018, Residential heating and cooling systems – Minimum applications and requirements for energy efficiency, performance and comfort criteria was written collaboratively by industry representatives, consumer advocates, regulators, and technical experts. “There are countless schemes in place to guide energy efficient products in our homes, but none look at the installation and design of air conditioning and its impact on overall energy efficiency,” said Standards Australia CEO Dr Bronwyn Evans. This standard specifies the requirements for design, selection, installation, commissioning and maintenance of residential heating and cooling climate control systems. 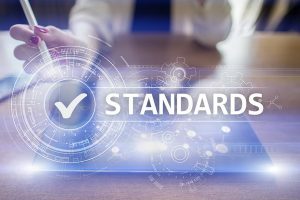 The Standards Australia technical committee was responsible for the standard. “Over the last two decades, equipment energy efficiency programs such as Energy Labelling and MEPS (Minimum Energy Performance Standards) have driven air conditioning equipment manufacturers to dramatically improve the energy efficiency of their products,” said Chair of the Standards Australia technical committee Robert Beggs. “This is a vital piece of the puzzle to reduce the impact our industry has on global warming. We now have a standard for consumers to rely on for a comfortable, cost effective and safe outcome,” said AIRAH Executive Manager – Government Relations and Technical Services Phil Wilkinson.